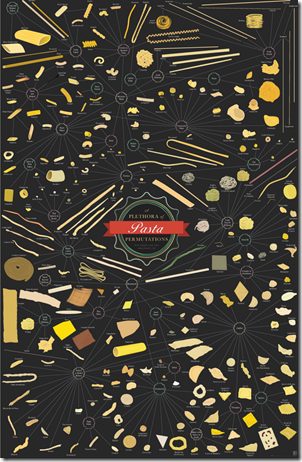 Can anyone explain to me why there are so many different shapes of pasta? Some are really fun: hard to tell what differentiate all the “Hand-roll Strands”. Different shapes for different uses. Orzo and acini de pepe work much better in soup than fettucine would.